It used to be said that anyone in the developed world had reached the term of their natural life at three score years and ten. That was when mourners at funerals would mutter “well, at least he had a full and good life” and teary relatives would have no choice but to concur. Nowadays, 70 is regarded as relatively youthful, a time perhaps for a man of means to acquire a new wife – though Rupert Murdoch got in early at 68 – or at least up his dosage of Viagra to meet the competing demands of his suitors. But 90? That is still an impressive feat, especially when you can still stand on your own two feet without assistance and retain at least a handful of the marbles necessary to function with a modicum of elan. 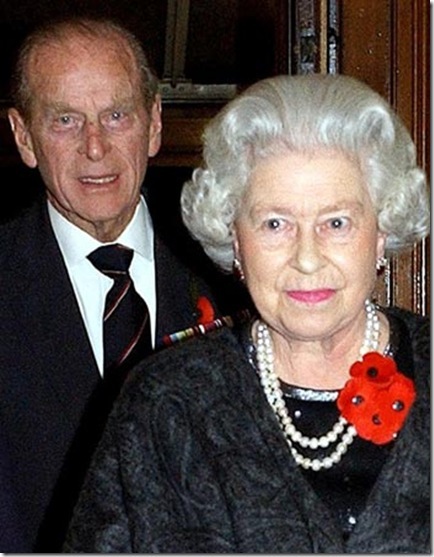 That milestone of four score years and ten is reached this week by one of Grubsheet’s great heroes – Philip, Duke of Edinburgh – arguably Greece’s finest export and consort of our gracious sovereign, Queen Elizabeth. Why do we admire him so much? Well, not so much for chalking up 64 years of walking two steps behind the missus – though he deserves ample credit for that – but for being one of the few people in public life hell bent on calling a spade a spade. In an era of endless spin -when emperors with no clothes are routinely complimented on the radiance of their garments -Philip says what he damn well pleases. Sometimes it’s obviously the first thing that comes into his head. At other times, the utterance seems exquisitely scripted, as if he’s been waiting subversively for just the right moment to dump a well-crafted bon mot like a hand grenade into some “ghastly” event. We’re providing a link here to one of the funniest things we’ve read in a long time – Ninety gaffes in 90 Years, a wonderful birthday celebration of the Prince of Political Incorrectness from Britain’s Independent newspaper. From Paris to Papua New Guinea, from the slums of Scotland to the jungles of the Solomons, Prince Philip has invariably had something memorable to say. His po-faced critics have sometimes pounced on these utterances as hideously inappropriate and used them to beat him. For many years, he became an emblem for the republican left as to why the rest of us should abandon the monarchy and the whole concept of hereditary privilege. But as it gradually dawned on us that all these people wanted to do was seize those privileges for themselves, we came to admire Philip’s determined candour even as we gasped at the audacity of some of his observations. Until age recently caught up with him and he was obliged to pare back his schedule, the Duke was undertaking some 300 public engagements a year. You can find him on Youtube in all sorts of places, some of them dangerous like Iraq, some of them benign but nonetheless testing for having to be moderately polite and seemingly interested in everything. His so-called gaffes have done nothing to dent his reputation. On the contrary, the whole world nowadays appreciates a man who speaks his mind as this one does. Natives are natives, cannibals eat people and the Chinese have slitty eyes. This latter observation caused a sensation at the time but not with the Chinese. They apparently talk about round-eyed Europeans all the time and were totally unfazed – unlike the British press – by their visitor stating the bleeding obvious. Yes, some of the humour is dated because it reflects the outlook of an elderly gentleman whose attitudes were forged as a naval officer when Britain still ruled the waves. But isn’t a distinguished war record and a scandal-free life by the Queen’s side reason enough to waive the rules? And let’s face it. Some of it is bloody funny, and especially because it’s so delightfully politically incorrect. We were newly reminded during the recent royal wedding of the Duke’s incredible ability to weather longevity. The only hint of old age came when he had to lunge twice up the steps of the royal carriage for the procession back to Buckingham Palace but this would have tested a far younger man. For the rest, he was erect and alert, waving and singing on cue . And as always, either by the side or immediately behind the woman for whom he sacrificed his own promising naval career for hers. Queen Elizabeth has four more years before she outlives Queen Victoria to become the longest serving monarch in a thousand years of British history. She’s already been judged one of the greatest monarchs of all time. And a large part of that has to be because of a long and happy marriage to a man who knows his mind and speaks it. 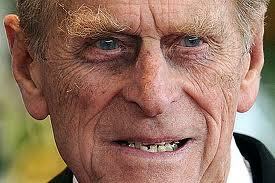 Whatever his other foibles, living with Phil must have been a hoot. His is a brand of humour both dated and timeless, a national treasure-trove to be rightly celebrated on his 90th birthday. Just imagine. These 90 so-called gaffes are merely the ones picked up by the microphones and the keenest ears of the ever-attendant media hounds. How many others must have been uttered but missed? These are lost jokes, perhaps not as valuable as the lost species Philip has long lamented as a pioneering conservationist, but still a reminder that these published sayings are but a fraction of what we might have heard had we been able to share the Queen’s table over the past six decades. 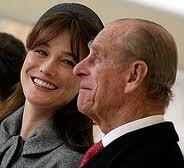 If laughter is the best medicine, no wonder this remarkable couple seem in such rude health. And whereas once the Prince’s unique brand of humour tended to be celebrated more by Colonel Blimp characters like Grubsheet, now the admiration is almost universal. A “Humble Address” in the House of Commons to mark Philip’s birthday on June 9th was passed with just one dissenting voice. You guessed it – a humourless left-wing republican.